Phil Burgess Construction has been accommodating the home building needs of Randolph County homebuyers for 30 Years. We are truly a company who cares about our clients. Not only do we construct affordable, high-quality homes, we ease the transition process for first time homebuyers through loan acquisition assistance. We keep our homebuyers in mind when constructing new homes to ensure that their comfort and financial requirements are duly met. 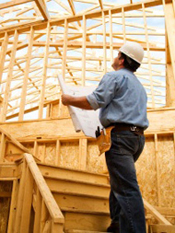 Please take some time to explore our website and Contact Us for New Home Construction. Why Choose Phil Burgess Construction? Call 336.824.2618, fax 336.824.2615, or click for Custom Home Building to contact us! We provide new home building for Ramseur, Asheboro, Liberty, Randleman, Pleasant Gardens, Trinity, Archdale, Franklinville, Seagrove, Staley, & everywhere in and around Randolph County, North Carolina.